A Touring Kayak that Provides Another World of Boating... for two! The SEA KAYAK TWO is a touring kayak for two paddlers. There is a choice of two separate cockpits or one large cockpit. With the latter, a solo paddler's weight and position can be centered, or twin paddlers of diverse weight can adjust their positions to provide the best hull balance. Watertight bulkheads at the bow and stern provide positive buoyancy even if the hull is flooded; an important consideration for extended touring. There is plenty of space for stowage both under and atop the deck. A gross weight of 600 lbs. will only sink the boat 6" in the water. This provides plenty of reserve buoyancy; another safety feature. Details are provided for making your own spray skirts for the dual cockpit version to keep the paddlers high and dry in most any condition. 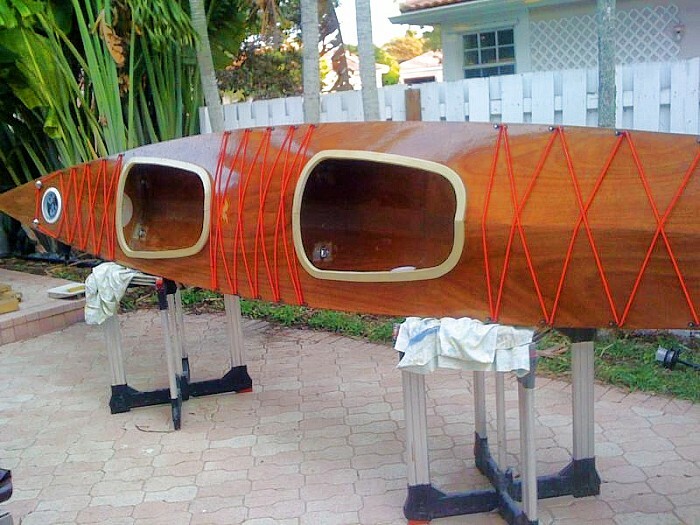 The SEA KAYAK TWO is built by the Glen-L simplified Stitch-N-Glue construction method. 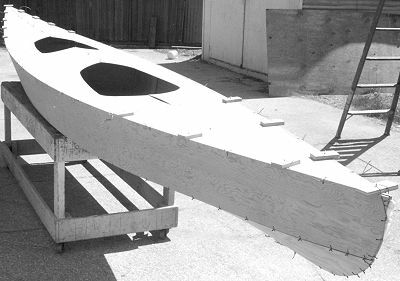 This composite system utilizes sheet plywood planking bent to form the hull, seams wire stitched, glued, and fiberglass laminated. This quick and easy building method is extremely strong and lightweight. No complicated dimensional layouts are required. Each part is furnished as a pattern. Start now! Have fun...build your own SEA KAYAK TWO and experience the enjoyment of a high performance touring kayak. 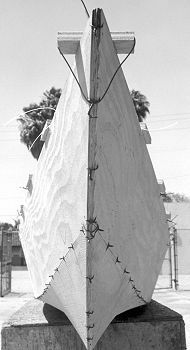 Hull weight (approx.) 50-70 lbs. 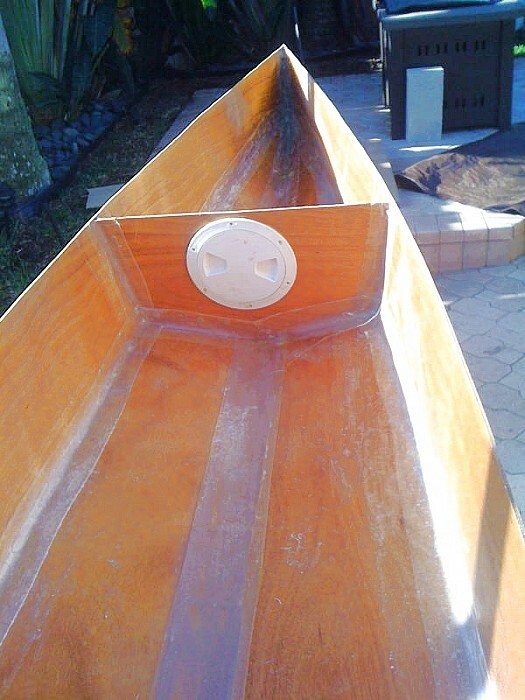 Hull type: Single chine hull, developed for 4mm or 1/4" sheet plywood, Stitch-N-Glue construction. Trailer: Designed for use with Glen-L Canoe/Kayak boat trailer plans. 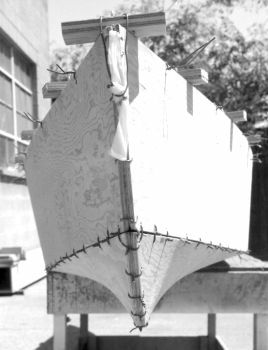 COMPLETE PLANS include FULL SIZE PATTERNS for the side-bottom planking, bulkheads, stern and bow breasthook, decking, form, and cockpit coaming. 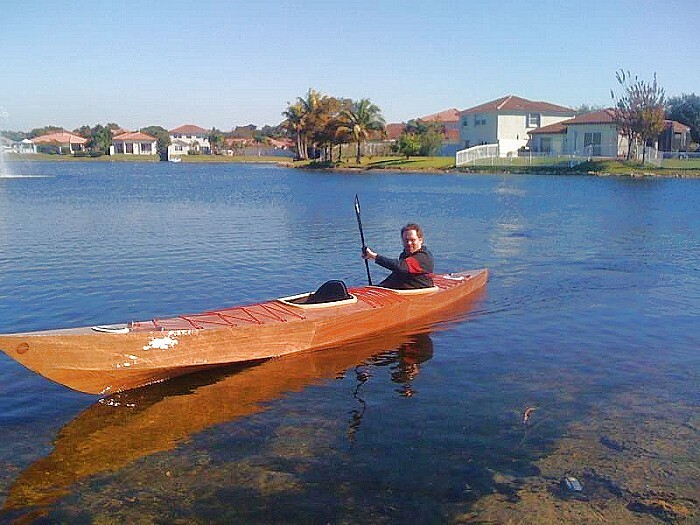 Includes material listing, plywood utilization details, Laminate Schedule, STITCH-N-GLUE manual, and complete building instructions with SEA KAYAK PICTORIAL. In addition, there are plans for building your own double blade cupped paddle.